iRingg 1.0.27 – Create ringtones and push them to an iPhone. 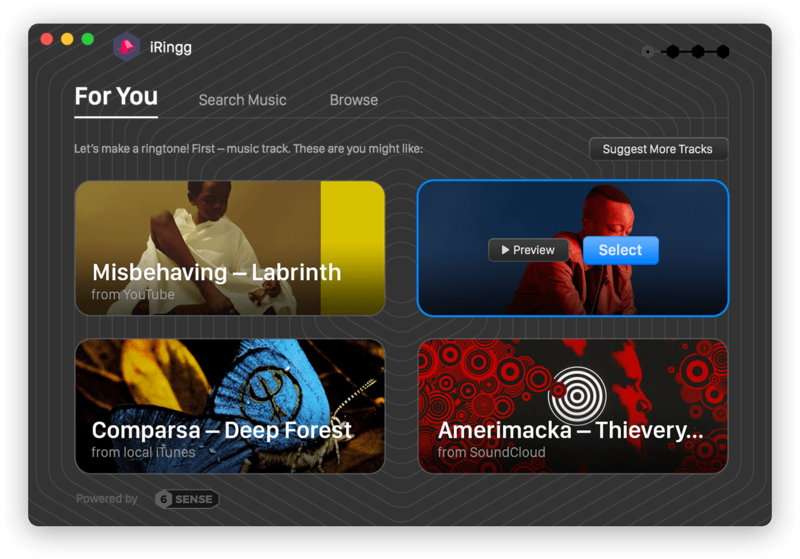 iRingg will allow you to make personalized ringtones from virtually anything you can find on the internet. Easily trim the segment of audio from songs in your iTunes library, or find them instantly on SoundCloud or YouTube. Add sound effects (called SndMoji™️) or record your own voice and use filters to create extremely personal ringtones. Push freshly created ringtones directly to an iPhone (wired or wireless connection) and it will appear in the default ringtones section. Next story Sublime Text 3161 – Sophisticated text editor for code, markup, and prose (beta). Previous story Stringed 2.8 – Shift pitch and manipulate tempo. iRingtone Pro 3.6.5 – Create iPhone ringtones. iRingg 1.0.36 – Create ringtones and push them to an iPhone.